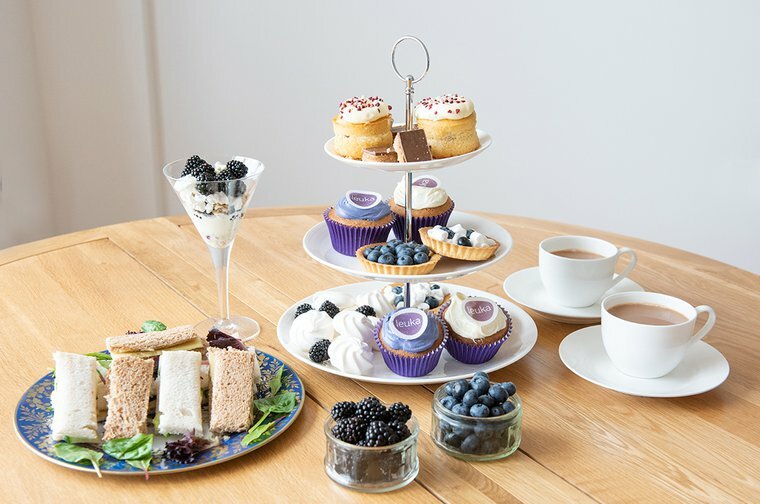 Leuka Loves Afternoon Tea - new for 2018! We love our supporters here at Leuka. We think you're incredible. You walk miles, run marathons, climb mountains and bother pedestrians with buckets, all to keep us going, and help us fund our researchers as they strive to advance our understanding of the hows, whys and weak points of leukaemia and other blood cancers. So, we thought we'd set you a challenge that, yes, still requires a bit of effort, but at least you get to enjoy some delicious baked goods while doing good. Introducing 'Leuka Loves Afternoon Tea'. This new campaign is all about enjoying some quality time and quality tea with friends and family (and those neighbors you actually quite like), while supporting our work to show leukaemia who's boss. Invite them round, lay on a three-tiered spread and ask for a small donation as a sign of appreciation. That's your weekend plans sorted then. We're kicking this off on the 13th of August to coincide with the start of the UK-wide Afternoon Tea week and it will (of course) run to mid September so that you Great British Bake Off fans can 'borrow' some inspiration form the show.